KRIS GRIFFITHS takes a trip to Chamonix Mont Blanc in the south of France for a snowboarding experience with a difference. I’VE been on a few snowboarding holidays in winters past but not one quite like this. While previous trips have been tighter-budget affairs, scrimping and cutting corners wherever I could, on this long weekend in Chamonix Mont Blanc my every whim and worry were taken care of, and in some style. The company behind my stay was Dynamic Lives – travel specialists who offer bespoke holidays combining luxury accommodation, gourmet dining and adventures in supreme locations. And European skiing locations don’t get much more supreme than Chamonix. 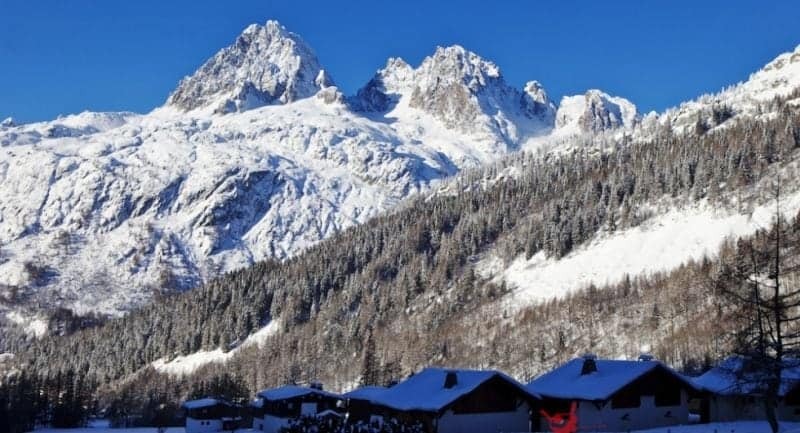 Nestling in the shadow of Europe’s highest mountain in the heart of the French Alps near the Swiss and Italian borders, Chamonix hosted the first official Winter Olympics in 1924 and has since become one of the continent’s best all-round skiing destinations. Fortuitously, my arrival was heralded by a major December snowfall, dumping a thick layer over the whole region. I and my group were picked up promptly at Geneva airport by a Dynamic Lives Mercedes minibus complete with a crate of cold beers to lubricate the drive to the chalet. Situated in the tranquil Chamonix village of Argentiere, Le Marti is a luxury 8-bedroom boutique chalet, where traditional comforts like huge sofas, heavy blankets and a roaring log fire are the order of the day. The design and finishings are highly stylish, and the sauna and hot-tub particularly welcoming in the seasonally freezing temperatures. Accomplished house chef Andrew Isherwood sealed the welcoming warmth with a selection of delicious canapes before a gourmet four-course dinner in the homely dining area, complemented by some fine local wines from the chalet’s seemingly bottomless supply. The next morning, the weekend’s activity schedule began in earnest. At nearby La Vormaine a pack of howling huskies awaited, chomping at the bit to get our sleds carving through the fresh snow. It was the first time I’d seen these beautiful animals in the flesh, and marvelled at their unremitting enthusiasm for hauling me and my sled around the dazzling white landscape. For our ensuing afternoon on the pistes the conditions were duly perfect: sapphire blue skies, freshly prepared runs and Mont Blanc towering majestically above everything, beckoning us onto its white slopes. The Chamonix valley boasts twelve separate ski areas with 49 lifts and 145 marked runs encompassing easy starter slopes to vertiginous steeps, but it really comes into its own when you go beyond the red rope. Longer off-piste tracts include the legendary 21-km Vallée Blanche, accessed by crossing a ridge at 3840m. It is often referred to as the world’s greatest ski run. After a short and sweet afternoon session, concluded with the satisfyingly lengthy home run, it was back to the chalet for a rejuvenating expert massage delivered by local masseurs ChamoFix, before a substantial steak dinner at local traditional restaurant La Cabane de Praz. Any weariness I might have felt the next morning was literally blown away by the rotor blades of the helicopter that soared us high into the Alpine sky, allowing unforgettable views of the Argentiere glacier and the epic surrounding mountain range. 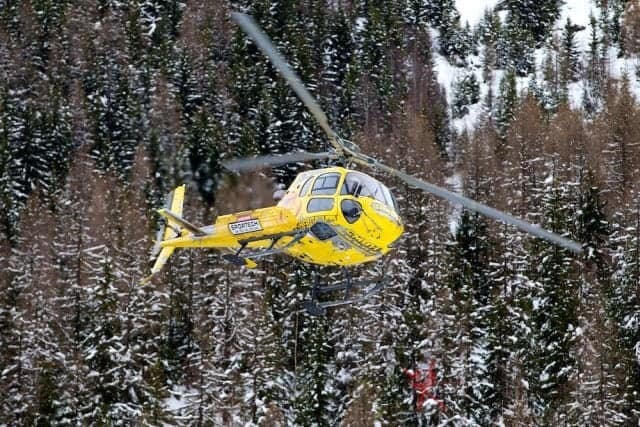 Locally renowned pilot Pascal Brun then landed us right onto the very slope from which we would commence our second day of skiing and boarding — who needs a gondola! Led that day by legendary extreme skier Remy Lecluse, we carved up the pistes until our ankles screamed for mercy. The weekend’s gastronomic heights peaked that evening at Michelin-starred Hameau Albert 1er restaurant, where Dynamic Lives had secured us a VIP table. The rest of the night was spent winding down serenely with some wine in the chalet’s cozy lounge area warmed by a crackling fire, reflecting on a weekend fully spent. It had been, quite literally, a series of highs: ascending and descending the surrounding slopes at accelerating speeds, then soaring over them all in a helicopter. And each time you came back down to earth there was something pleasant to cushion the fall, from an expert massage to the bubbling hot tub. Whether for companies wanting to treat clients with corporate entertainment of the highest order, or for a group of friends wanting to pack as much activity as possible into a skiing weekend without any organisational worries, a Dynamic Lives experience at Chamonix Mont Blanc will make for a winter trip to remember.